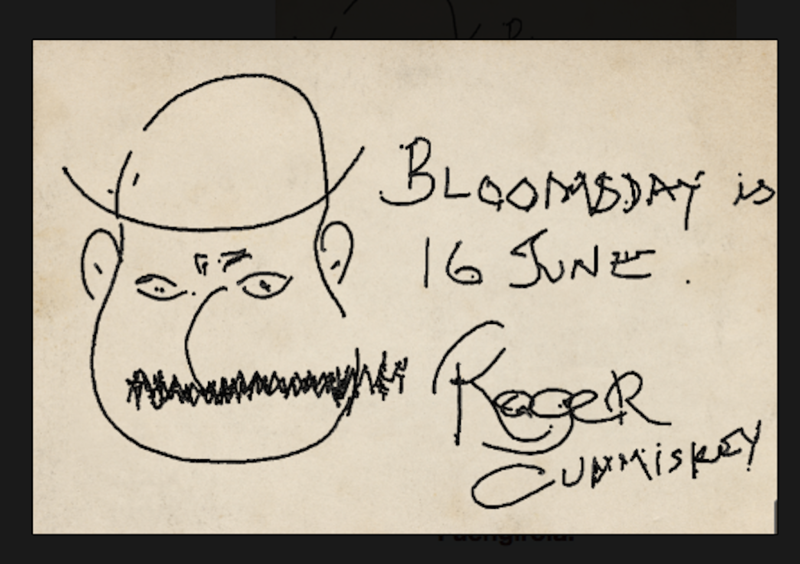 Bloomsday 2018 | Roger Cummiskey - ArtRoger. 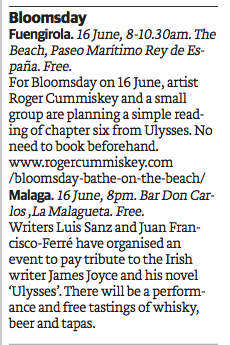 8th Annual Bloomsday Reading and Bathe on the Beach. Bloomsday, Saturday 16 June 2018 at 08:00 h.
We will start by reading Chapter eight from Ulysses – Davy Byrnes Moral Pub in YOUR language. Bring your own copy. If you do not have one then speak to me s we can instruct you how to download in your own language. Enquiries from +34 666 78 26 42. Can´t make the 08:00 start? No problem. 16.06 There will be a small art exhibition opening at 21:00 h at Mr RoHs where we will also be entertained by a Jazz singer, Janet Powell. 17.06 On Saturday we will meet at Mr Rohs for further readings from 13:00 h.
The Bloomsday Interview with Karen McMahon Mijas International TV. Edited by Juan Cruz Plaza. 06.06.16. 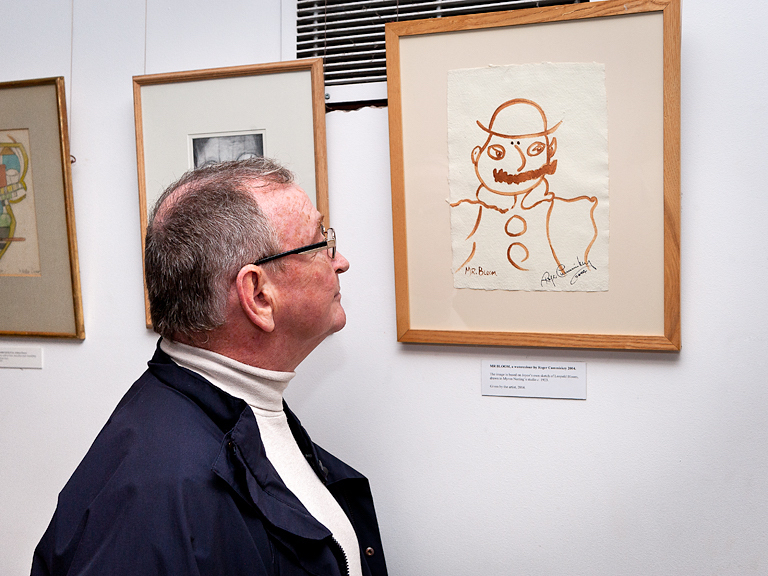 Roger with his drawing of Mr Bloom at the James Joyce Tower Museum, Sandycove, Dublin. pic. Pat Flynn. A couple of new kids on the block! Two writers will introduce a reading event in Malaga City on 16th June 2017. CONGRATULATIONS TO ALL THOSE WHO TAKE PART IN AND ON BLOOMSDAY. On that day we will stand by the graveside of Lucia Joyce and sing.